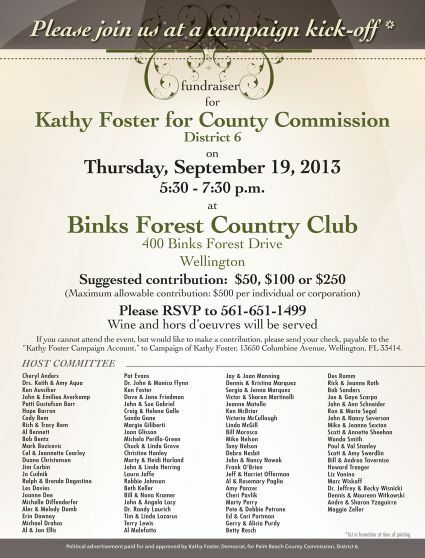 A campaign event was held for County Commission candidate Kathy Foster, former and first Mayor of Wellington and a Western Communities businesswoman, on September 19, at Binks Forest Golf Course in Wellington. 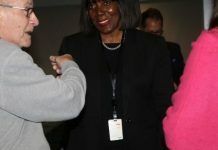 TOGETHER, we shall eradicate corruption and waste in Palm Beach County! Wednesday, Jan. 18th, 2012 7:00 p.m. to 9:00 p.m. at the “original” Wellington Mall.